One of the first bottles of Russell Henry London Dry just before getting its label. 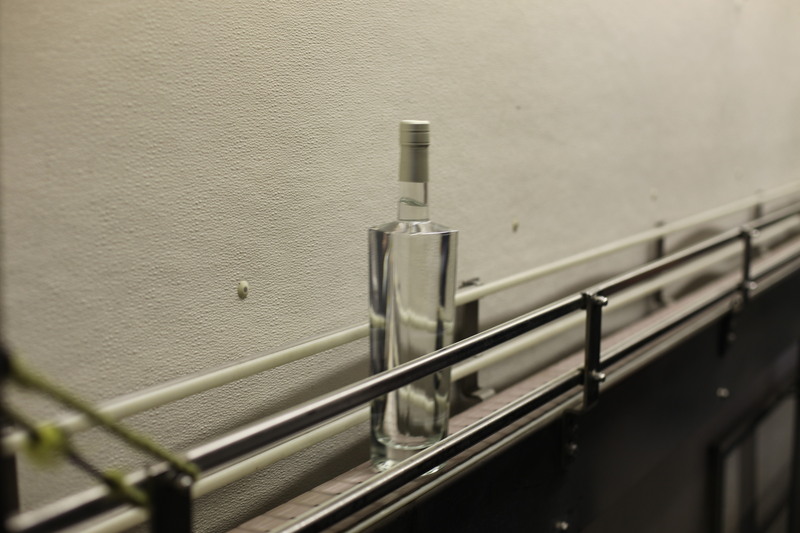 It got there from countless hours of creative work: adjusting a unique mix of botanicals, finding the right GNS, making the right cuts on the small cognac still, choosing the bottle/cork/foil, designing and printing the label: the cumulative input of 10 human beings, plus the crew that is running the bottling line. In a way it’s like a birth, all that effort focused into this one glass full of a unique distilled spirit. Here’s footage of the bottling day.